For some design inspiration we suggest you check out this project (Naked Puppetry) by web developer Donal OKeefe. 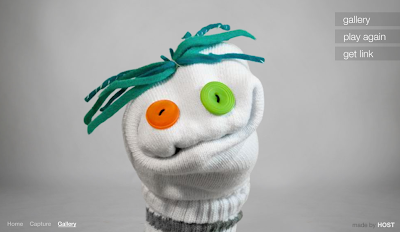 Combining a web camera and a sock puppet this is a quirky idea that brings web interaction into the home. Create your own sock character by moving your hand in front of your web cam, make it talk, record your voice over and have some fun.